Chichester Careline will benefit from significant investment and further expand its presence in the telecare market after it was agreed that PPP Taking Care should take over the service. Chichester Careline, which is currently provided by Chichester District Council, is a 24 hour service which allows people to live independently by providing support and assistance through the use of technology known as telecare. The technology links up to a monitoring centre, which is operated by trained staff who will answer calls from its customers 24 hours a day, every day of the year. This provides reassurance both to the individual and their family. The change, which will be introduced from 1 March 2019, will enable Careline to expand the services it offers to its customers. Chichester District Council developed the agreement with PPP Taking Care to attract much needed investment and enable Careline to further expand its work in the telecare market. "We are very proud of our Careline service and the difference it makes to its customers. Over the past few years we have been looking at ways to build on the outstanding work that is delivered by the service," says Cllr Eileen Lintill, Deputy Leader and Cabinet Member for Community Services at Chichester District Council. "Careline operates in a highly competitive and rapidly changing market. Technological advancements and opportunities - as well as the growing needs and expectations of our customers - mean that significant investment is required. We have worked alongside PPP Taking Care for some time and so we are very confident that they are the right company to take Careline forward to build on what the service has already achieved. "Careline is highly thought of because it has touched the lives of so many people through the vital support it delivers. This decision will protect and further enhance this special service for years to come and access the investment that the service needs and deserves. "What is important to stress is that the service our customers receive will not change. The cost will stay the same and they will continue to be assisted by the same 'Careline team', based in Chichester. Our customers will also be able to access additional services at no extra cost providing them with even greater peace of mind." PPP Taking Care is part of AXA PPP healthcare. PPP Taking Care also manages Age UK's personal alarm service, which supports over 50,000 people in the UK. They believe that everyone should have the support to remain independent and live life well in their own home. 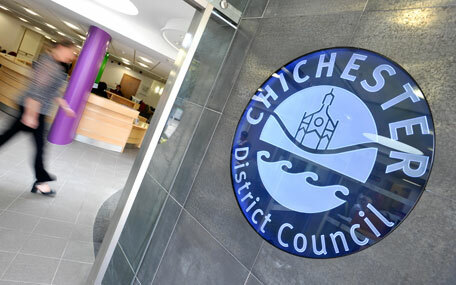 "We are honoured that Chichester District Council has entrusted this important service to us. We recognise that Chichester Careline is one of the best telecare services in the country and we look forward to working with their great team to continue to build on the excellent work that has been achieved to date. We are also looking forward to supporting Careline's customers and investing in other services so that we can provide even more support for them," says Richard Turner, Managing Director, PPP Taking Care. Over the past 35 years, Chichester Careline has assisted over one million people to live safely and independently in their own homes. It was one of the first monitoring centres in the country dedicated to providing people with telecare services and it supports people across the country. All existing customers will shortly receive a newsletter, providing them with more details about the change.